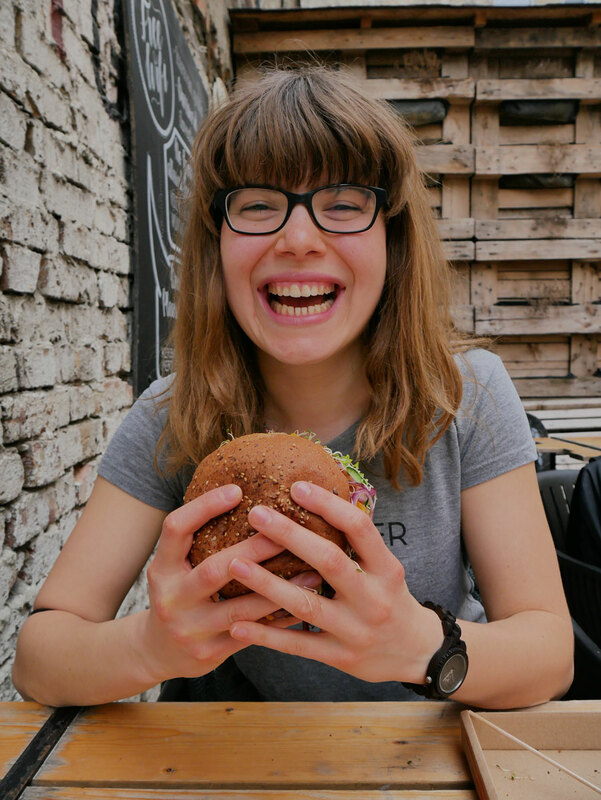 My ultimate vegan food guide in Budapest for you! I don´t know how many of you have known that I was born and raised in Hungary. My mum is Hungarian but my dad is from Scotland. I was raised in a small but beautiful town called, Tata. About 60km west from Budapest. I have never lived in Budapest but I have been many times, I have many friends living there. 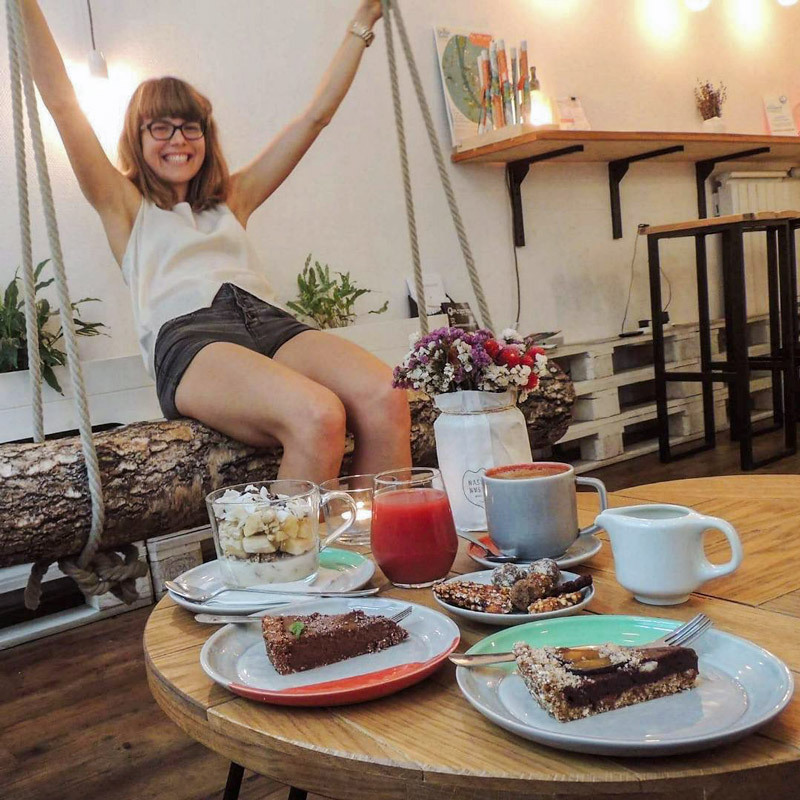 I have been vegan for just over 2 years, I went vegan in Berlin but anytime I was at home I discovered more and more vegan places in Budapest. I´m so happy about this. 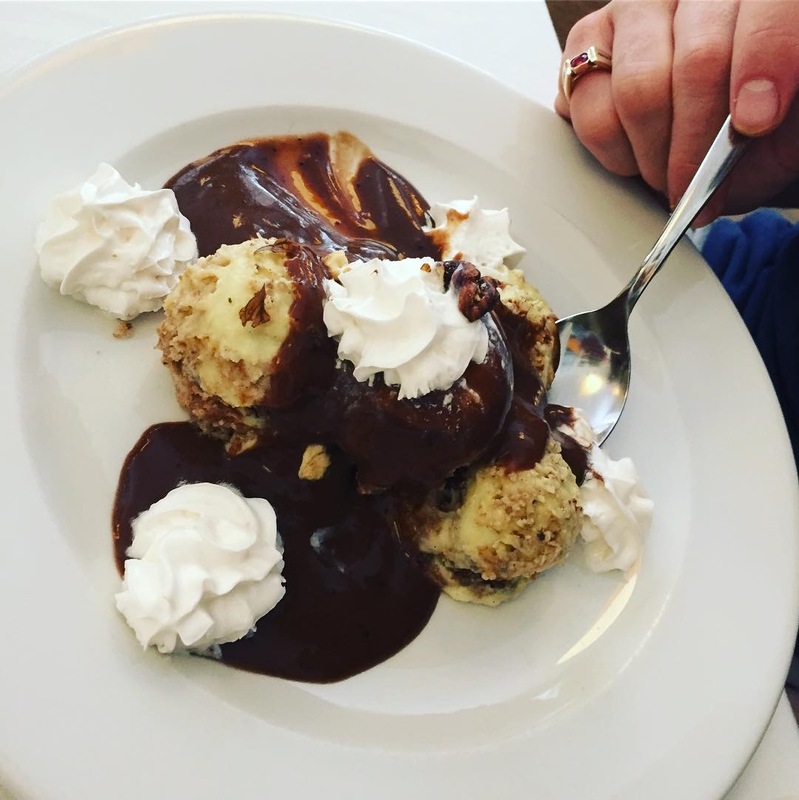 I have decided to write a Budapest Food Guide to help everyone choose the best spot. The order is actually pretty random, I want YOU to decide which one you think is the best. Enjoy this beautiful city, if you need any help, send me a message. I visited this food truck about 3 weeks ago for the first time and I loved it. I tried their Seitan and “Bundás” Burger and they were both so good! Their mango lassi wasn´t very good, I wouldn´t drink that again. They have three locations. One is next to the Shopping Centre: Allee, one is at the address below and one is at Rácskert. 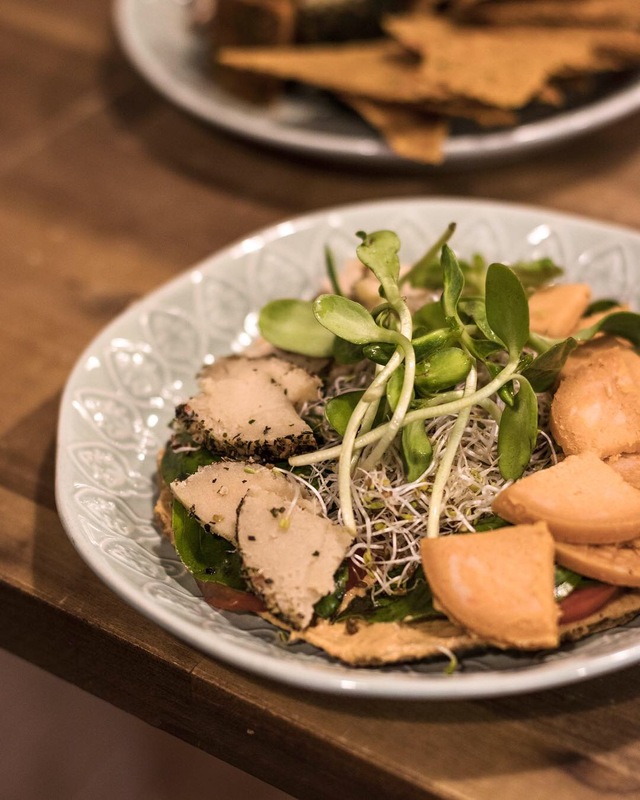 Vega City is a vegan restaurant in the center of Budapest. 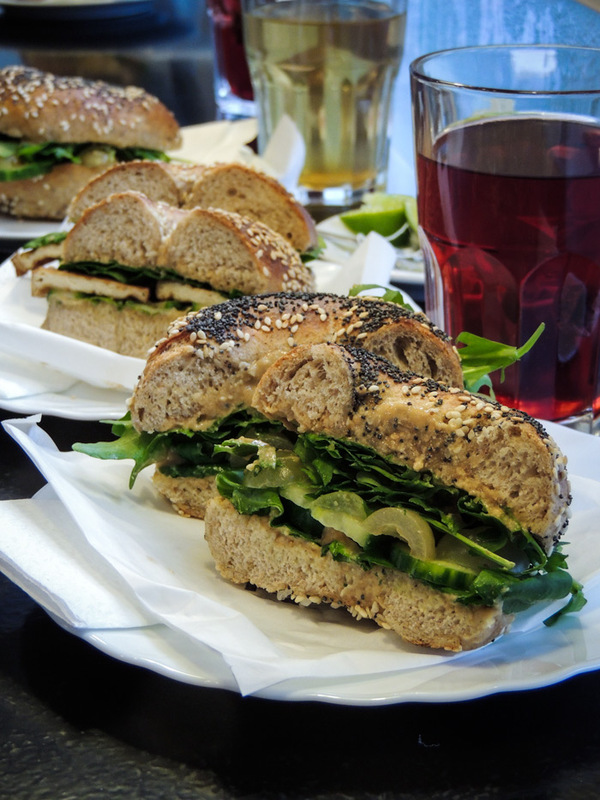 It´s perfect for a quick lunch or dinner, as all the food is already ready and you can see everything through a window. It´s pretty cheap and delicious. 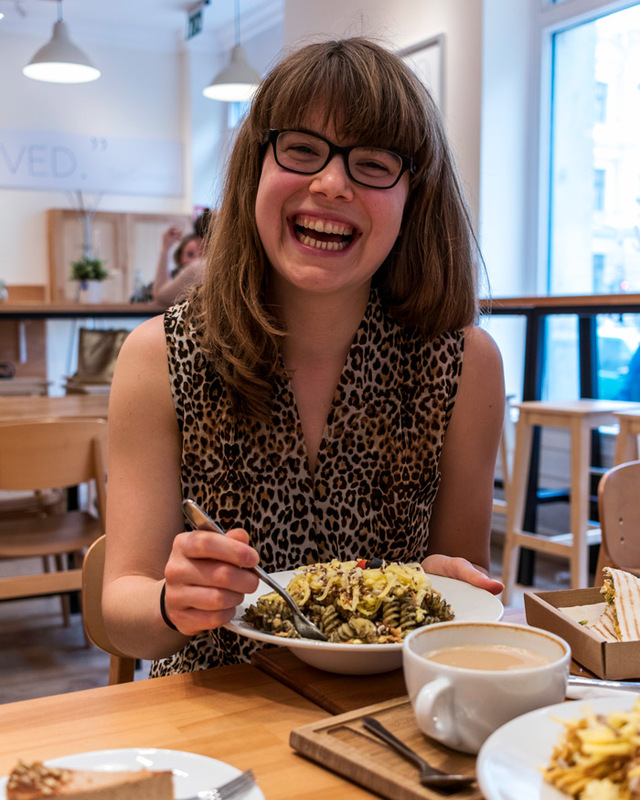 I wouldn´t say that the food is super healthy but both times I have been, I enjoyed the food. I have their Gyros Plate, their Falafel Plate, many desserts and smoothies! I wouldn´t go during the lunch hours, it gets very busy then. They have a daily menü, that changes every day and they also have a food service which is pretty cool. They also sell sushi, raw cakes and even raw pizza. This was such a feast! I have only been twice here, the first time was 1,5 years ago with many Instagrammer girls and we had a great time. We ate burgers. 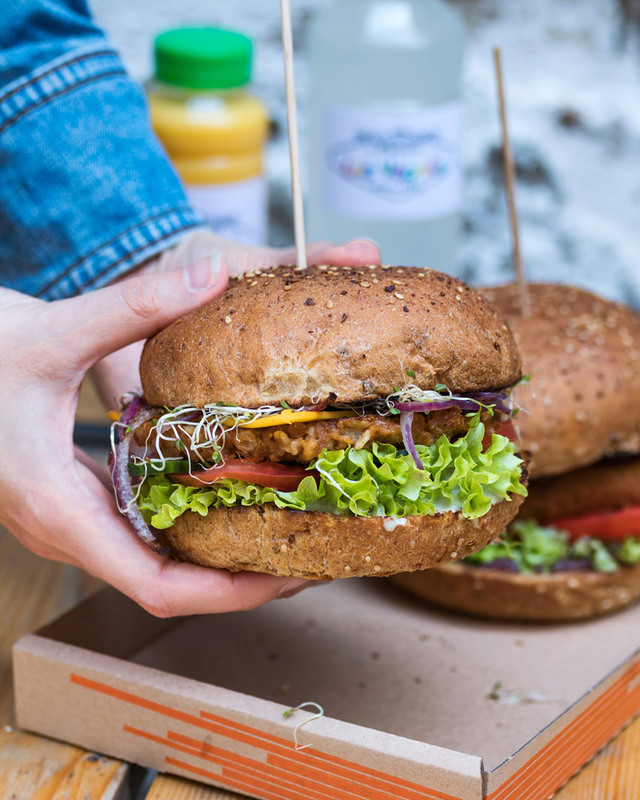 They have very fancy ones like Broccoli Burger with Millet, Mexican Burger, Curry Lentil Burger, Shiitake Quinoa Burger and many more. The second time I visited was just a few weeks ago with two friends of mine and we tried their vegan hotdogs and vegan donuts. I loved their burgers but the hotdogs were not my favourite. My friends enjoyed the hotdogs so maybe it´s just me. The donuts are made in the oven so they are made without oil which is great. They don´t really taste like real donuts but they are cheap and as I said they are healthier than normal donuts. A really new restaurant also in the center of Budapest, on the east side of Budapest, in Pest. Unfortunately, the lighting isn´t the best so I apologise for the quality of my picture but the food is amazing!! So so good! Really big portions. 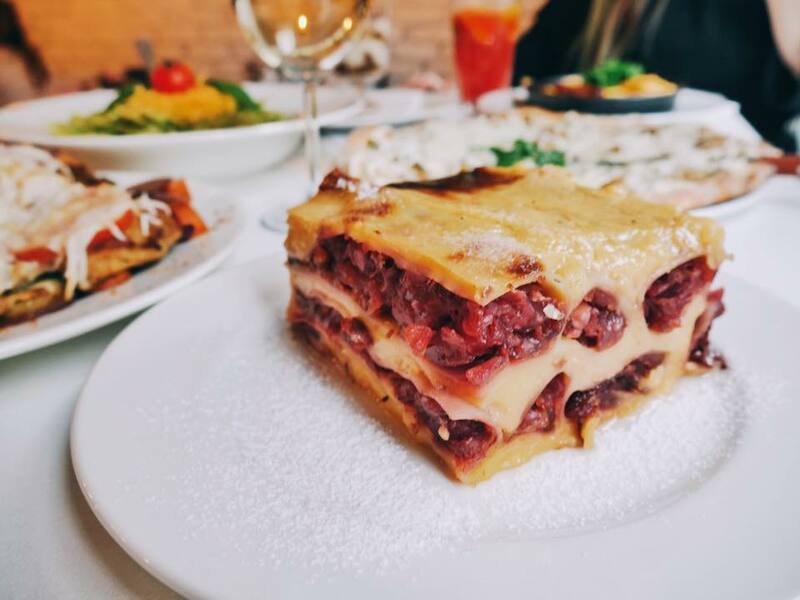 You have to try their vegan tiramisu and their vegan sweet cannelloni. Their pizzas are also really tasty! I can´t wait to come again. I have only been once here but that one time was memorable. 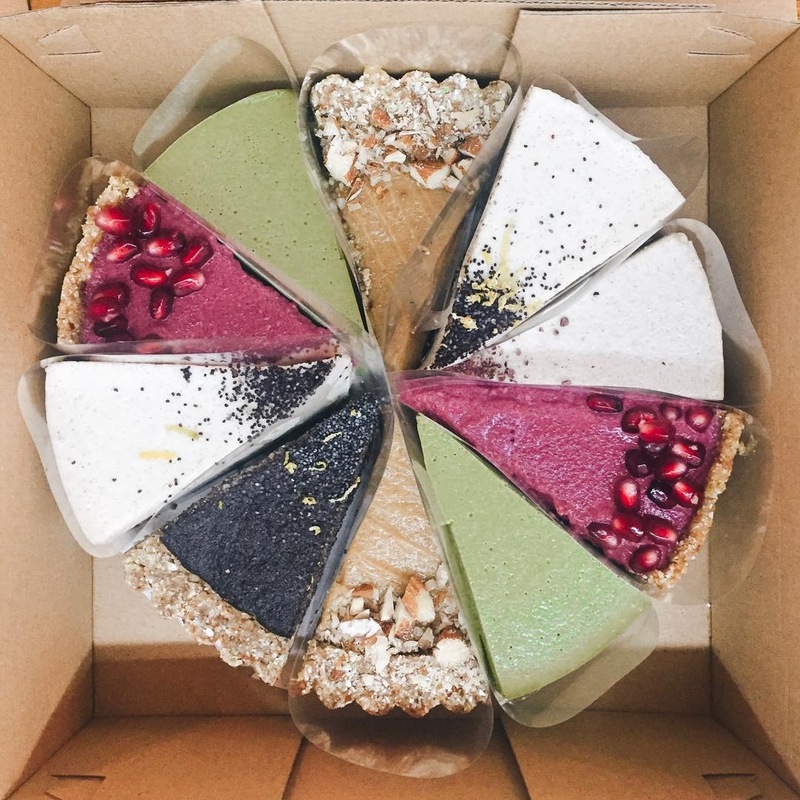 They have really delicious raw cakes and oh my god, their raw crêpe is amazing! 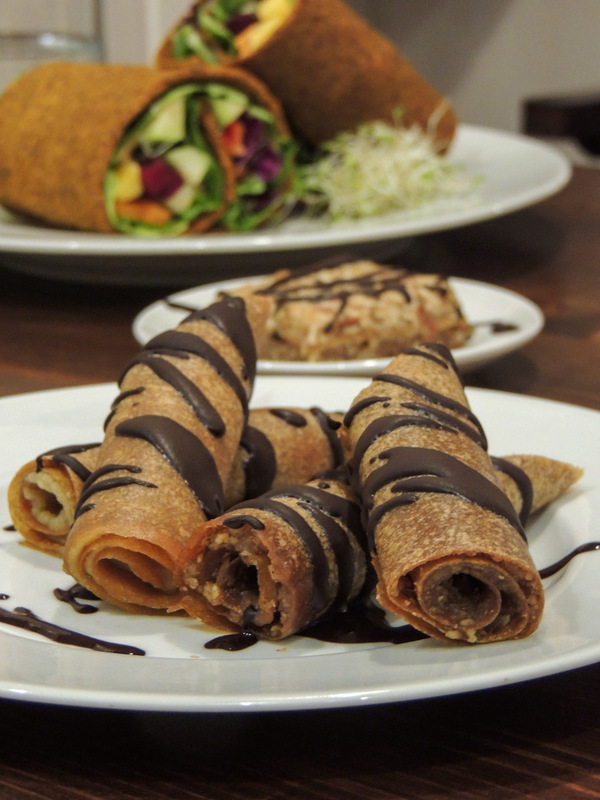 These raw crêpes are just amazing! This is the “Lecsós Szejtáni Brassói”. Really tasty. 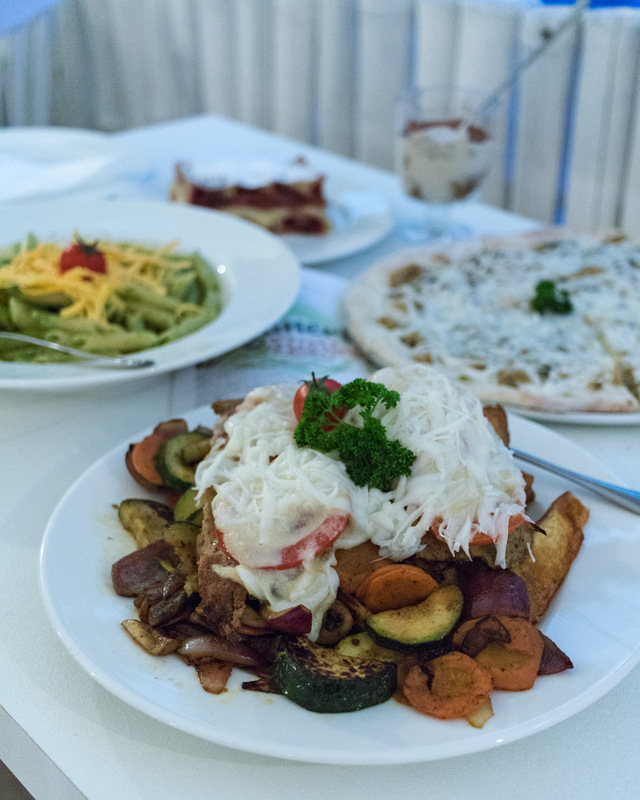 If you want to try traditional Hungarian food veganised, then this is the place for you. 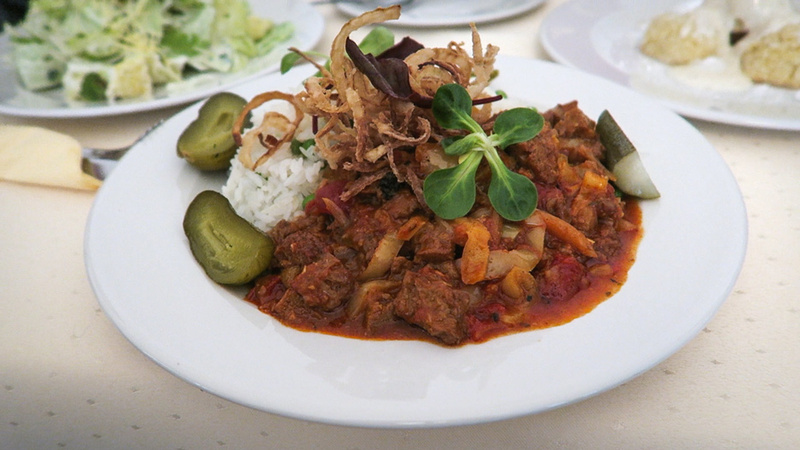 They have creamy cakes, stuffed cabbage, traditional Hungarian desserts and of course the famous Goulash Soup. They have two locations. I have only been to the Ferenciek tere one. The location is very traditional, nothing fancy. The food is not very clean but very delicious. 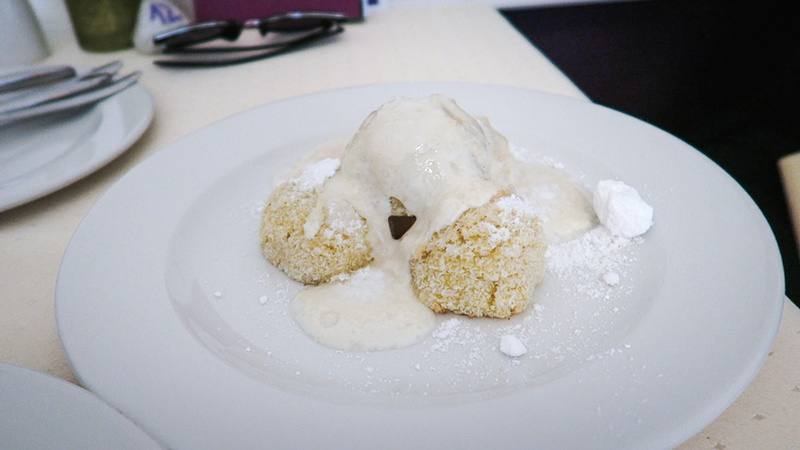 The famous curd dumplings, “Túrógombóc”! You have to try these! Oh how much I love this cute café and cake shop! 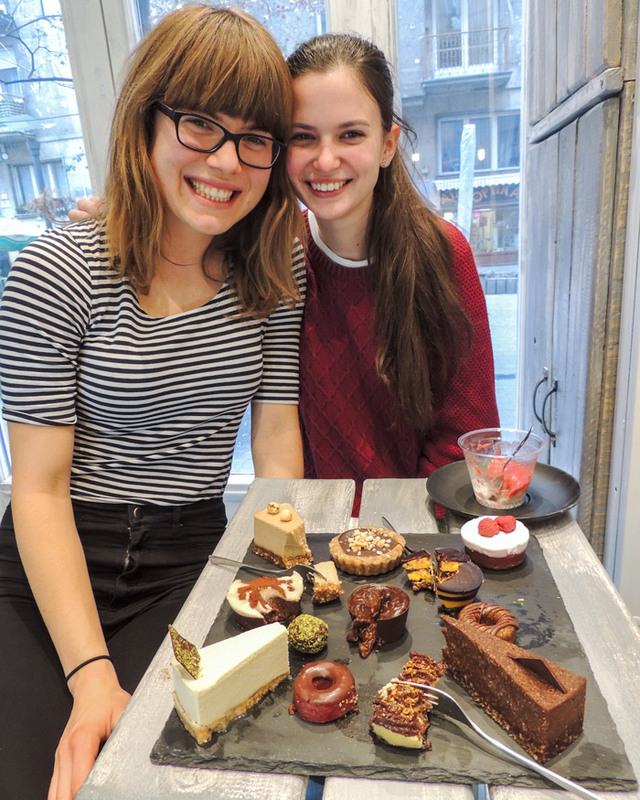 They have delicious raw cakes, bliss balls, biscuits, home-made granola, smoothies..okay, just go and see it for yourself! Look at that cute bench swing! I felt like a kid. You can also order cakes for birthdays or any events here. I can´t remember, what I had but they always have different cakes anyway. ? I have only been here once but I can still taste that smoked tofu sandwich in my mouth. My favourite is the mushroom burger! 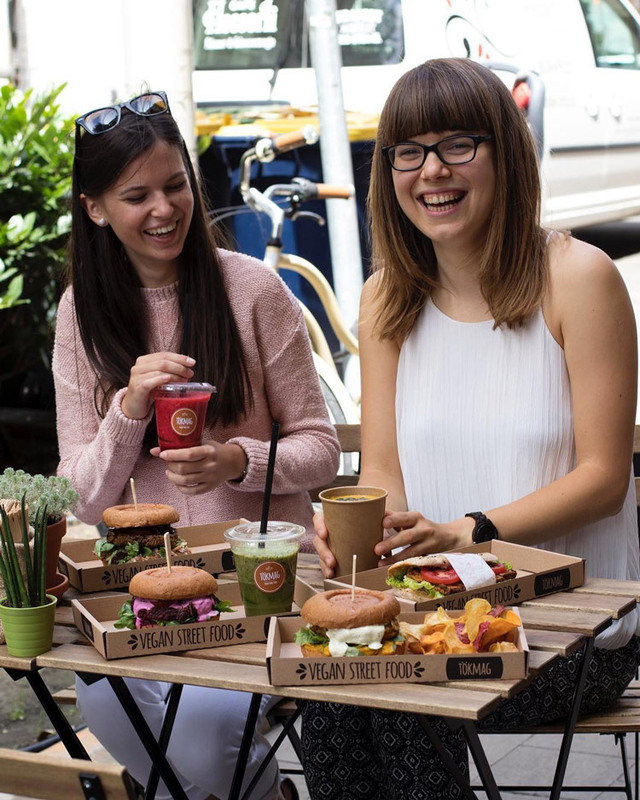 This is probably the most central location for vegan food in Budapest. It´s just around the corner from the Parliament building. 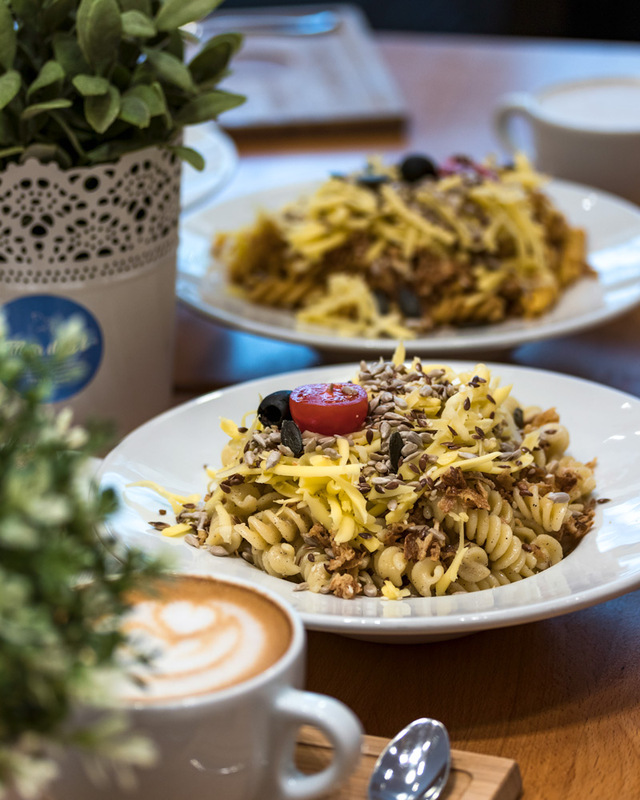 This is actually the first vegan pasta bar in Budapest. As you can see it´s only open during lunchtime, I wish it was open longer. The pasta is so good! They have four kinds of different pasta sauce every day. They also have glutenfree pasta. They also have soups and quesadilla. 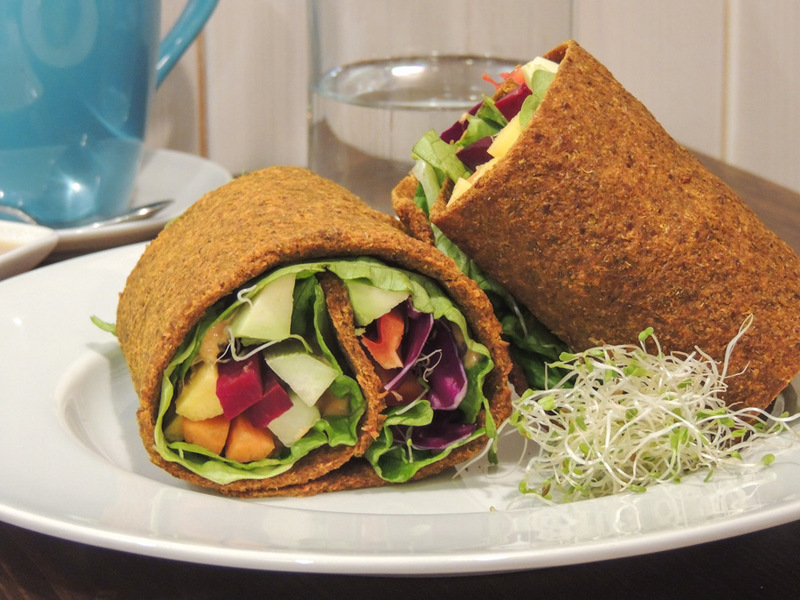 This is café situated near the Margaret Island, it´s not a vegan café but they also have some vegan options. 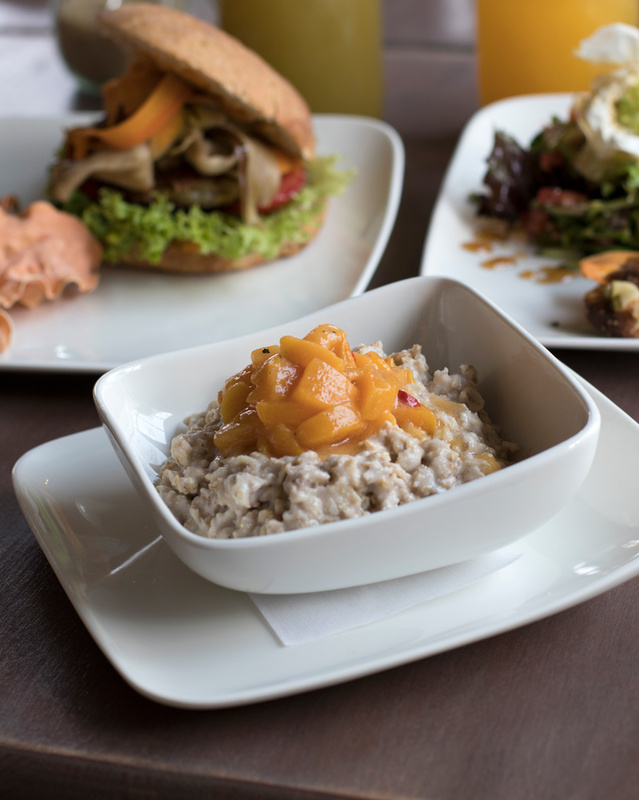 Like coconut milk porridge, vegan croissants, vegan burger and one mixed salad. Their porridge was so creamy! They have special coffees and they also offer some menüs for lunch. Their lunch options are not vegan-friendly, but I was informed that in the middle of June they will be having some vegan dinner options! How cool is that? The café is very cozy, I enjoyed my time there. 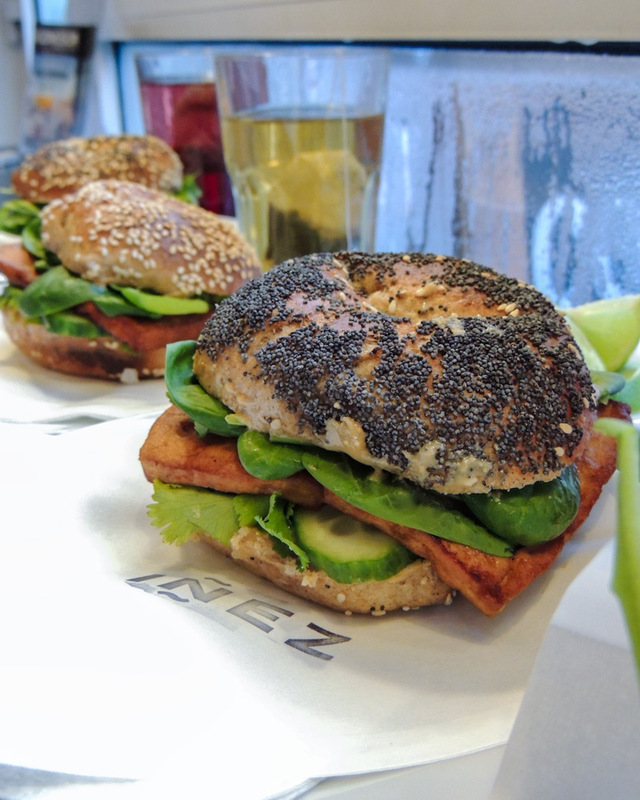 If you are craving some freshly baked bagels, then I can definitely recommend Inez Bagel. They only have one vegan bagel (Asian bagel) but that one is amazing! Filled with peanut sauce, marinated tofu and greens. They also have soups from 12:00-14:00. I haven´t tried those yet. Don´t worry, Réka and I got some help to finish all this cake. Don´t come here if you are on a diet! ? 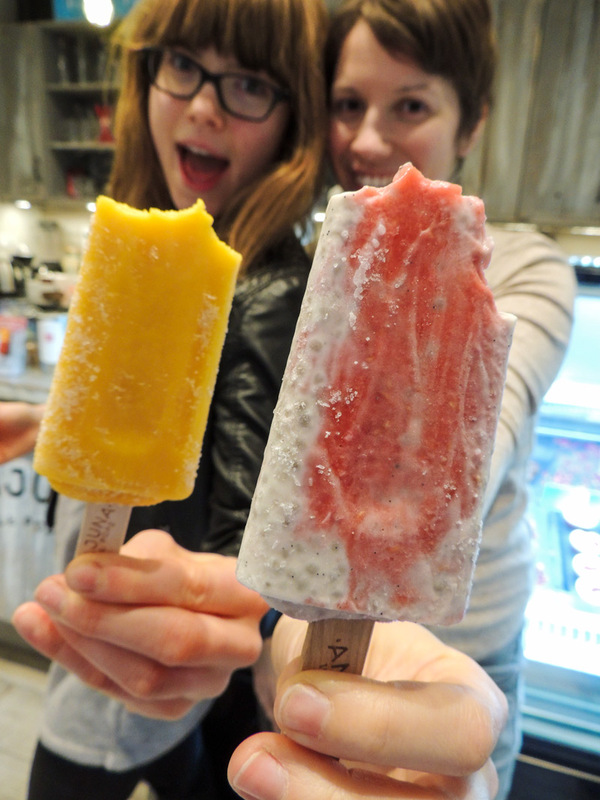 They have so many amazing raw cakes, chia puddings aaand popsicles! They are the best! They also have acai bowls now, I can´t wait to test those as well. All of their products are vegan and glutenfree. They have two locations. Price: 3€ for a piece of cake and 2,5€ for a popsicle. 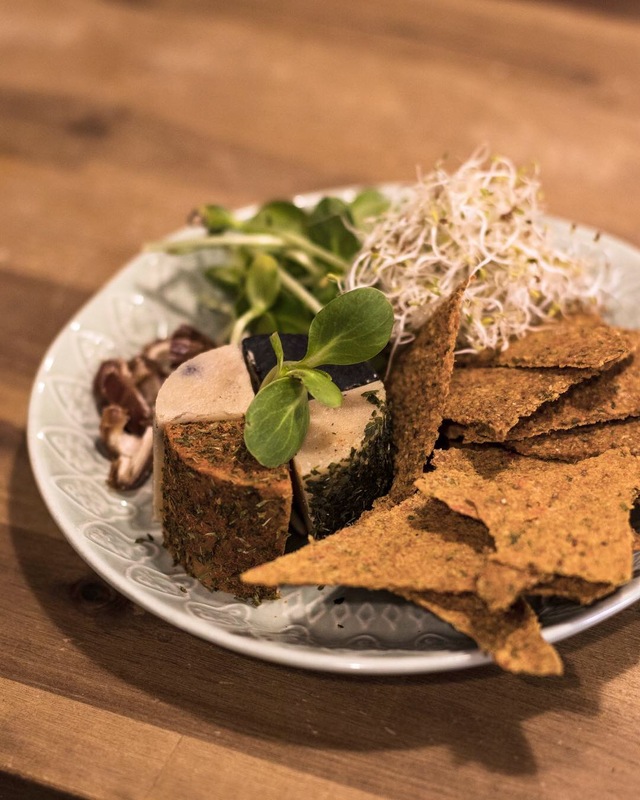 If you are looking for some home-made vegan cheese in Budapest or you want some delicious raw food, then Say Cheez Raw is definitely a good option! All of their products are raw and organic. They sell many different kind of cheese, salad, pizzas, sandwiches and even raw cinnamon rolls! The owners, Merci and Roli make everything themselves! They are very friendly! They also sell warm lattes, cream cheese and smoothies! The place is very small and pretty hidden but now you have the address! Our favourite one was the blueberry cheese! The cheese plate is a great idea if you want to try different flavours! 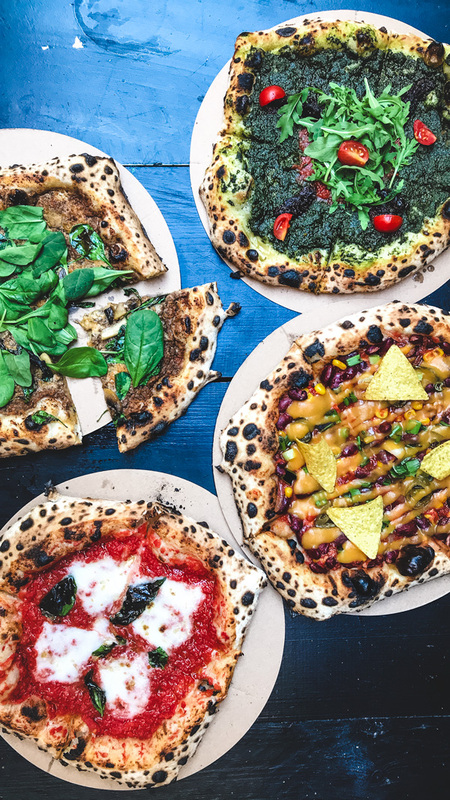 The only pizzeria in Budapest selling only vegan pizzas! It´s not a restaurant, it´s a foodtruck located in Ankert. They sell Neapolitan style plant-based pizza. In the picture starting from the top clockwise you can see the Pizza Verde (tomato sauce, spinach pesto, dried tomatoes, fresh tomatoes, rucola and olive oil), Pizza Messicano (chili beans, jalapeno, spring onions, tortilla chips, vegan cheese dip and olive oil), Pizza Margherita (tomato sauce, rice mozzarella, fresh basil and olive oil) and Pizza Funghi (tomato sauce, mushroom pesto, mushroom, fresh spinach, nutritional yeast and olive oil). Personally for me the pizzas for too oily but I don´t consume any oil, so I´m very sensitiv to it. ? My favourite was the Pizza Messicano and the Pizza Verde! Price: 5,5€-7€ for a pizza. The opening hours for Vegazzi can change! Please make sure to check before you go. I hope my food guide was helpful for you. 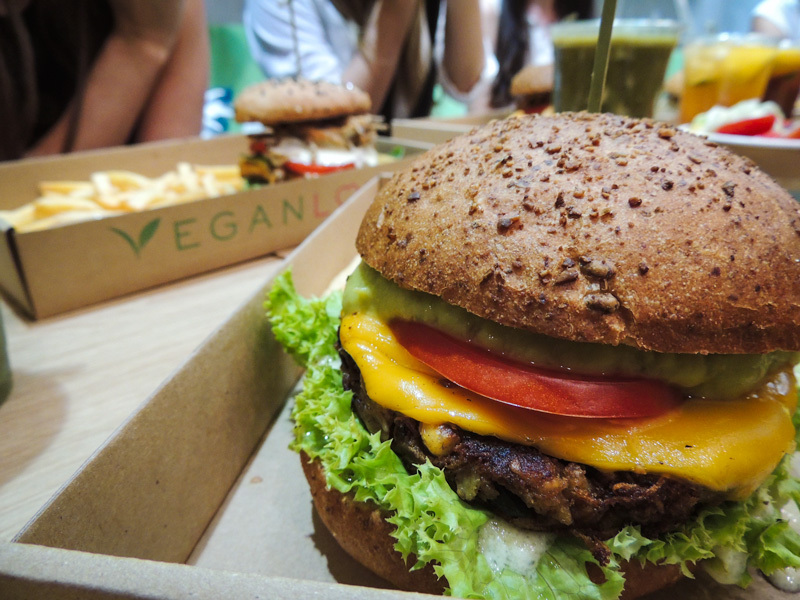 There are still so many vegan places in Budapest I have to check out. If you have any tips for me, please leave me a comment! I also love using Happy Cow when I go travelling! 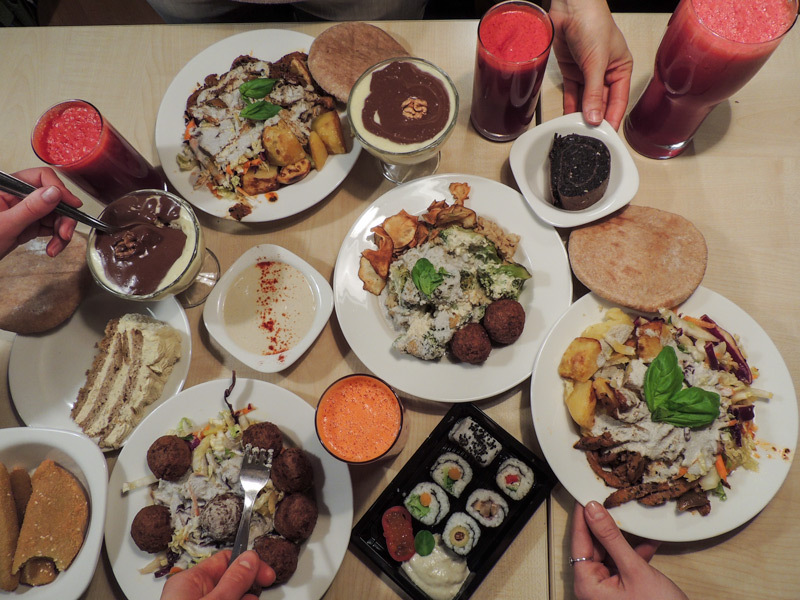 We didn´t eat all this at once. Haha. Have you been to Budapest Nele?